Home » News » All the spring events Pittsburgh kids have been waiting for! Photo: It’s a giggling dance-arama at the Cultural Trust’s Kids in Motion workshop. Spring’s the perfect time to fly a kite, take a hike and enjoy outdoor festivals. Families can do all that and more by checking out what’s happening around town from the first day of spring through the first day of summer. Through April 7: “Rosie Revere, Engineer,” multiple locations. 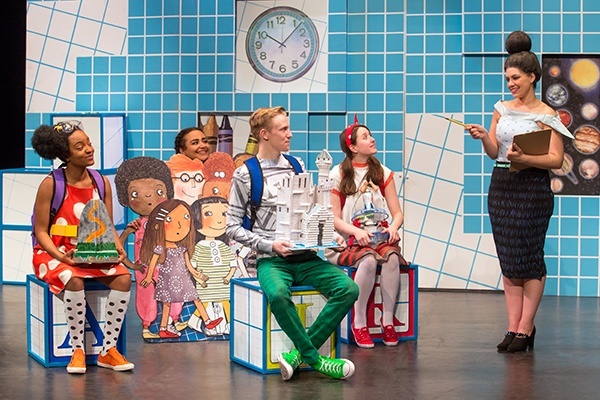 This fun, new musical spotlights STEM learning and out-of-the-box thinkers, based on author Andrea Beaty’s series of books. Through May 12: “TapeScape 3.0,” Children’s Museum of Pittsburgh. This play exhibit and art installation designed by Eric Lennartson uses more than 50 miles of tape stretched over a two-story steel frame to create twisting tunnels and curving walls for kids to crawl through and explore. Through May 15: “Rube Goldberg, The World of Hilarious Invention,” Children’s Museum of Pittsburgh. Activate and create crazy chain-reaction contraptions in an interactive exhibit celebrating Rube Goldberg, Pulitzer Prize-winning humorist and inventor. Through Sept. 2: “Da Vinci the Exhibition,” Carnegie Science Center. Explore the complex beginnings and lifetime achievements of Leonardo da Vinci, interact with his machines, explore his world-renowned paintings, and discover his innovations in flight, hydraulics and music. April 3 and 27, May 4 and 18: Young Birders, The National Aviary. After an introductory session, young birders ages 9 to 16 will be led by two experts on hikes in local parks to learn birding. Kids will consider all they know about lions from “The Lion King” and compare that to real lions in a fascinating session at Carnegie Museum of Natural History. April 5: Lion King All Ages, Carnegie Museum of Natural History. 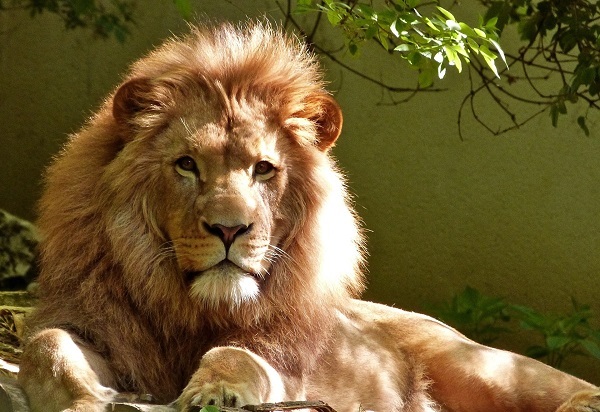 Bring Disney’s “The Lion King” movie to life by learning about real lion kings, warthogs and wildebeests. Discover what characters like Zazu and Timon have in common with their live counterparts. Come dressed as your favorite “Lion King” character for a costume parade. April 5: Robot Roundup Sleepover, Carnegie Science Center. Explore the science behind robotics as you experiment with Cubelets, navigate Sphero through obstacle courses, and carry out space missions with LEGO Mindstorms EV3’s. April 5-14: “My Traveling Song,” Carnegie Stage. This original play for kids ages 1-5 is presented by the Hiawatha Project. Expect live music, tactile play and bright imagery on this heartfelt journey. April 6: Creating Pysanky Eggs, The National Aviary. Learn the basics of pysanky, the traditional Ukrainian art of creating Easter eggs using colorful dyes and wax. Participants take home their decorated egg and decorating kit at the end of class. 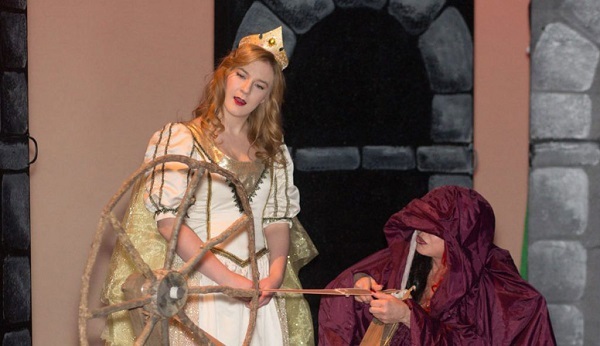 Careful with that spinning wheel, Princess Aurora! April 6-May 11: “Aladdin’s Luck,” Mariposa Theatre, Bellevue. The familiar story of the street urchin who falls in love with a princess is retold with music. What happens when Aladdin loses the lamp? We’re not telling! April 10: Hop into History: Making Heinz a Household Name, Heinz History Center. Construct a window display, create an advertisement and color a label for a new product. Play and explore in this hands-on session designed for kids ages 2-5 and caregivers. Have a Hoppy Easter at the National Aviary. April 13, 14, 19 and 21: Eggstravaganza, The National Aviary. 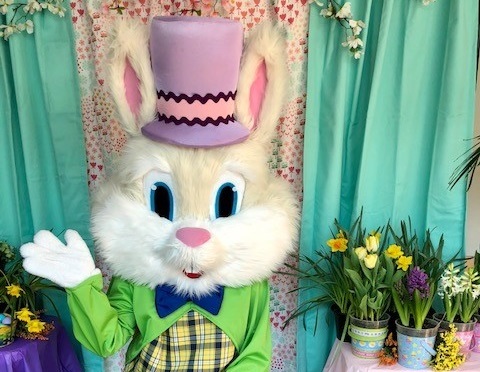 A spring family celebration features a parade with the Easter Bunny, a bird-themed egg hunt with an educational twist and story time with a live bird appearance. April 13: Kids in Motion! workshop, Trust Arts Education, Downtown. Kids ages 3-5 will express themselves through creative movement while being introduced to the elements of dance and choreography. Second Saturdays at the Frick Pittsburgh challenge young makers with cool crafts. April 13: Second Saturday Studios: Natural Art, The Frick Pittsburgh. Go natural using trees, leaves and rocks for special outdoor art. 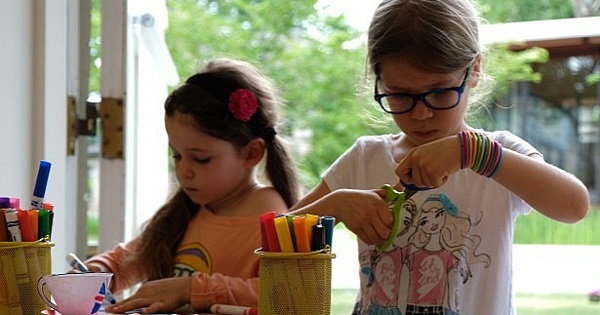 Families with children of all ages are invited to explore different and unusual materials or find fresh new ways to use paper, paint and pencils. April 16: PJ Masks Live: Save the Day, Benedum Center. A live musical show features the heroic trio from “PJ Masks.” Watch Catboy, Owlette and Gekko and their new friend PJ Robot as they try to save the day from sneaky villains. April 17: History Explorers: Corps of Discovery–A Journey from Pittsburgh, Heinz History Center. Join the Lewis & Clark expedition that launched from Pittsburgh and was the first to explore the American West. Build a boat, pick supplies and head on a whirlwind adventure. For kids ages 5-8 and caregivers. Your funny bunnies will love the activities at the Pittsburgh Zoo’s Zoo Hop to Spring. April 19: Zoo Hop to Spring, Pittsburgh Zoo. Join an Easter egg hunt, meet the Easter Bunny and see zoo animals receive special treats. April 19 and May 3: Sky Watch, Carnegie Science Center. Rain or shine, the evening includes a tour of the night sky, planetarium programs and chats with expert stargazers. April 20: Super Science Saturday: Egg-cellent Egg Hunt, Carnegie Museum of Natural History. Follow clues that lead to treats in a scavenger hunt and meet live springtime animals. This event is designed for kids ages 3-10. Beautiful butterflies will flit from flower to flower at Phipps Conservatory’s Butterfly Forest. April 20-June 30: Butterfly Forest, Phipps Conservatory & Botanical Gardens. 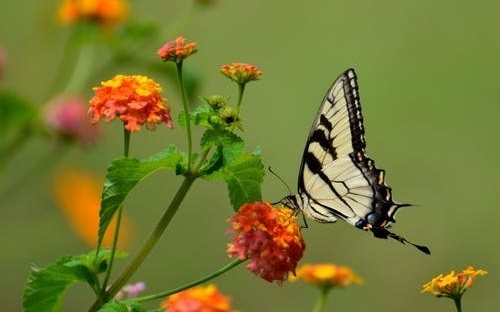 Enjoy dozens of different butterfly species surrounded by the plants that provide them with nectar, and see live metamorphoses as butterflies transform and emerge from their chrysalises. April 21: Easter Brunch, The National Aviary. Celebrate the holiday with a gourmet brunch menu prepared by Chef Josef Karst of Atria’s catering. Dine in the heated Rose Garden tent and enjoy visits from some of the Aviary’s most popular and colorful birds. April 24: Seedlings: Tops & Bottoms, Pittsburgh Botanic Garden. Explore the parts of a plant that grow in the soil and above the ground. Take a walk to see what’s sprouting in the Garden. Nothing like a jazz interlude to break up a (take your kids to) work day. 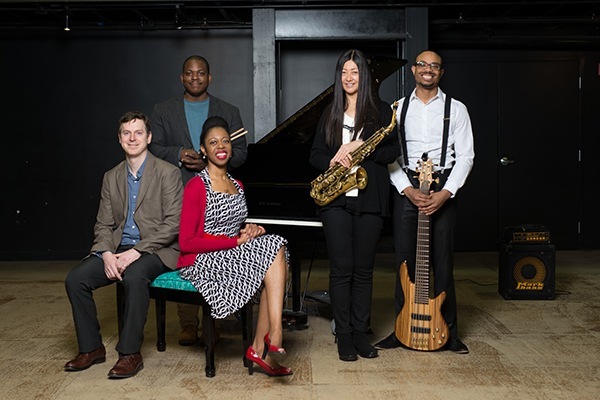 April 25: Take Your Child to Work Day: Jazz, Trust Arts Education Center. Enjoy a free performance of “Jazz Time!,” a musical journey that introduces kids to the elements of jazz. April 26: Wild Earth Day, Pittsburgh Zoo. Learn how to make a difference for our planet. Visit discovery stations around the Zoo to learn about wildlife and conservation. 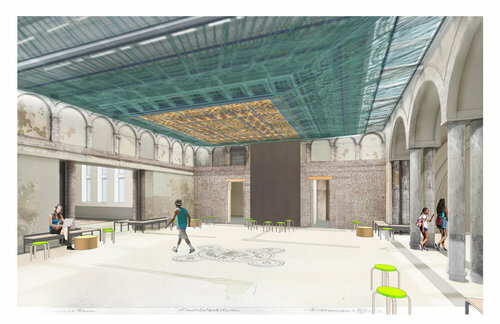 This artist rendering of a Museum Lab room shows a mix of original architecture with modern updates in the old Carnegie Library building. April 27: Museum Lab opening day, Children’s Museum campus. The home for kids 10 and older will offer cutting-edge experiences in art, technology and hands-on learning. Explore new exhibits, including Studio Lab, Make Lab and Tech Lab, plus a day of performances in dance, drumming and slack line walking. April 26-28: “The Dark Crystal,” Carnegie Science Center. Relive the majestic adventure of a mystical tale directed by puppeteering legends Jim Henson and Frank Oz. Recently restored in 4K resolution, The Rangos Giant Cinema experience will transport you into the world of this classic cult fantasy. Girls Scouts have a date for themselves at The Frick Pittsburgh. 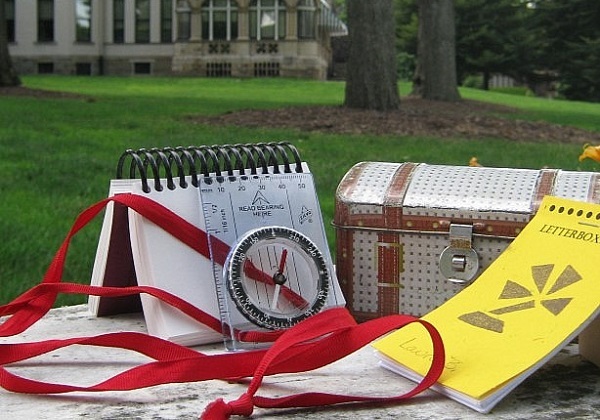 April 27: Girl Scout Letterboxing Day, The Frick Pittsburgh. Girl Scout troops are welcome for a fun, hands-on day exploring the grounds of the Frick. Make an ink stamp and learn to use a compass, and then work as a team to find hidden letterboxes. May 4: Kennywood’s open! Don’t look down. Pittsburgh’s favorite amusement park is open for the season. May 8: Hop into History: Cooking Up History–The Three Sisters, Heinz History Center. Explore how American Indians have used the Three Sisters of corn, beans, and squash and then make culinary masterpieces using those ingredients in our kitchen, designed for 2 – 5-year-olds and their caregivers. 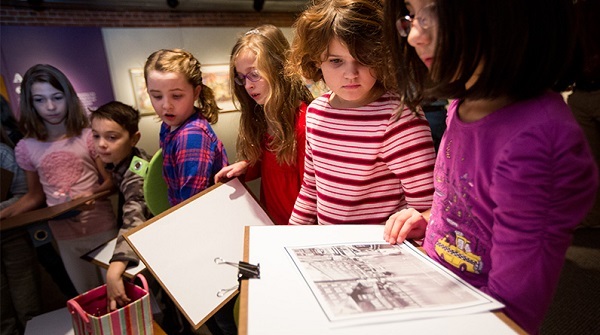 Imagination and creativity are highlighted through Remake Learning Days with activities like this one at Heinz History Center. May 9-19: Remake Learning Days, multiple locations. 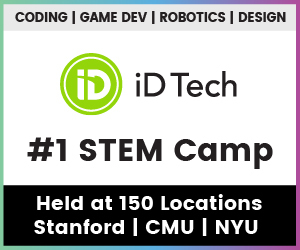 Build a robot, code an art spinner, direct a film, be a scientist, explore the outdoors, make your own music, print your invention with a 3-D printer. Check out the complete schedule of learning and making at schools, museums, libraries, and tech companies throughout southwestern Pennsylvania. May 11: Kites for Kids. 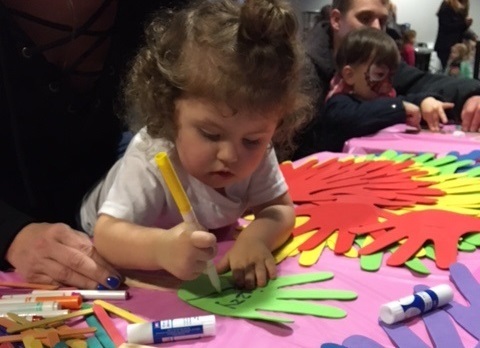 Carnegie Science Center teams up with KidsVoice, a leader among Allegheny County child advocacy organizations, to celebrate Kites for Kids. On this special day, meet with kite flying experts and enjoy hands-on activities. All activities are included with Science Center general admission. May 11: Super Science Saturday: Reptiles: Live! Goodbye Party, Carnegie Museum of Natural History. Discover fascinating facts from reptile experts, examine cool museum specimens and even meet real reptiles from the museum’s living collection during Reptile: Live’s final weekend. May 11: Colorful Collagraphy Workshop, Trust Arts Education Center, Downtown. Kids ages 8-10 will experiment with this dynamic visual arts technique and create printing plates to make their own works of art. May 11: “How to Train Your Dragon” Sleepover, Carnegie Science Center, Experience the movie that launched the trilogy on the giant screen in The Rangos Giant Cinema, and explore the science behind dragons and Viking culture. Make a model dragon fly, investigate dragon eggs, write your name in runes, and race Viking ships. Kids who love cosplay can learn to make costumes themselves in a fun workshop. 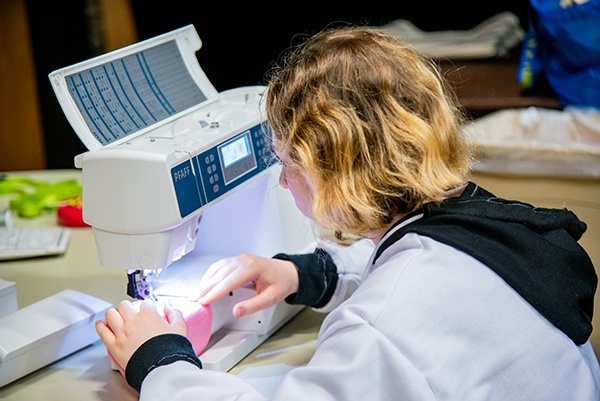 May 11: Sewing Studio: Cosplay, Trust Arts Education Center, Downtown. Kids ages 13-17 will learn basic techniques for flat patterning and carving foam and how to cut and sew fake fur to create the beginning elements of a character. May 12: Mother’s Day Brunch, The National Aviary. Celebrate mom with a gourmet brunch menu prepared by Chef Josef Karst of Atria’s catering. Dine in the Rose Garden tent and enjoy visits from beautiful birds, then explore the Aviary’s free-flight habitats for a day of fun for the family. Indoor theater and outdoor festivities entertain kids at the annual EQT Children’s Theater Festival. 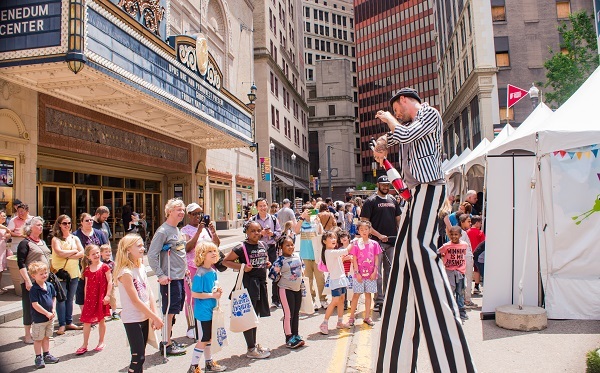 May 16-19: EQT Children’s Theatre Festival, throughout the Cultural District, Pittsburgh. Live performances from professional, international artists engage children of all ages, showing them different ways to express ideas, includes free activities and family-friendly art. May 16: Zoomba & Zen: Yoga, Pittsburgh Zoo. Series kicks off with yoga surrounded by polar bears, sea otters, sea lions and northern elephant seals. Join for one class or all five. May 21: Seedlings: What is a Pollinator? Pittsburgh Botanic Garden. Pollinators such as butterflies and bees are responsible for the fruits and vegetables we enjoy. Learn about these important organisms and the plants they pollinate. May 21-26: “Dear Evan Hansen,” Heinz Hall. A winner of six Tony Awards, the musical focuses on a teen with anxiety issues trying to make connections with his peers. For ages 12 and older. 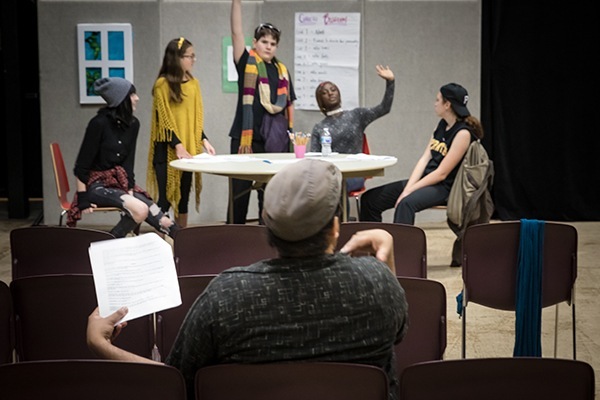 A workshop connected with “Dear Evan Hansen” prompts kids to learn all the roles of theater production. May 25-Sept. 15: Very Eric Carle: A Very Hungry, Quiet, Lonely, Clumsy, Busy Exhibit, Children’s Museum of Pittsburgh. The 2015 exhibit that was co-organized by Children’s Museum of Pittsburgh with The Eric Carle Museum of Picture Book Art returns home after traveling to museums across the country. 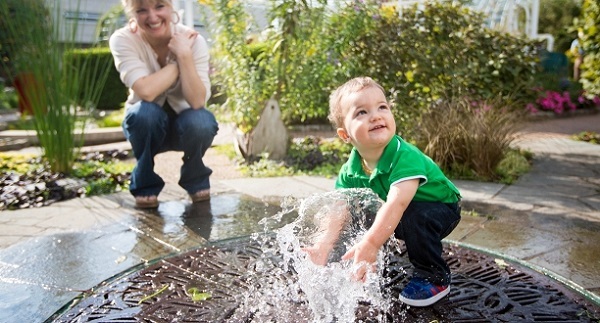 The Discovery Garden at Phipps Conservatory offers joy in simple outdoor pleasures. May 25: Discovery Garden Day, Phipps Conservatory & Botanical Gardens. Families are invited to mark the opening for the summer of Discovery Garden, exploring the beauty and wonders of nature as they play. Activities include nature-based crafts, storytelling and entertainment. May 25: OpenStreetsPGH, East End. The first OpenStreetsPGH of the season will be the longest ever, stretching through Homewood, Larimar, East Liberty, Shadyside and Point Breeze. Expect kids’ activities, music and community arts. 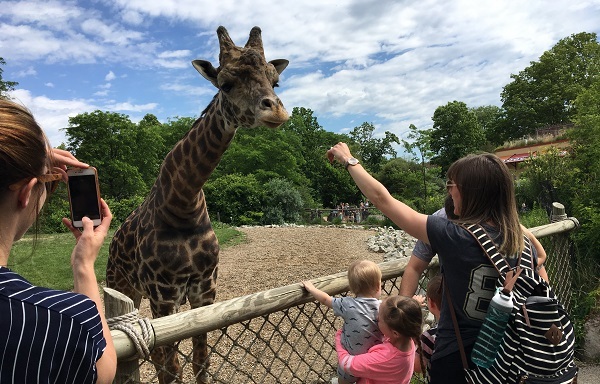 Play Dr. Dolittle and talk to the giraffes up close and personal at the Pittsburgh Zoo. May 29 to Sept. 2: Giraffe Meet ‘n Greets, Pittsburgh Zoo. Meet the Zoo’s giraffes every Monday, Wednesday, and Friday through Labor Day. June 1-Sept. 8: Curious George: Let’s Get Curious!, Children’s Museum of Pittsburgh. Get up close with the most curious little monkey in this hands-on STEM exhibit. June 7-16: “Grease,” Pittsburgh Civic Light Opera. Will summer love last through “Greased Lightning,” poodle skirts and Pink Lady mean girls? Rock ‘n roll to Rydell High for the answer. June 7-16: Three Rivers Arts Festival, Downtown. Ten days of free art and music, plus lots of hands-on activities for kid. 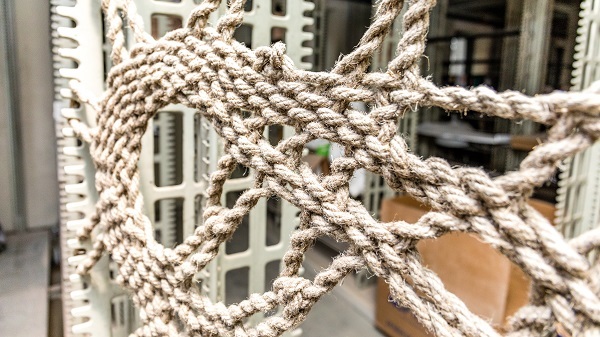 For the three-story Gymlacium, artist Manca Ahlin weaves rope sections using traditional bobbin and lace techniques that she learned as a child in Slovenia. 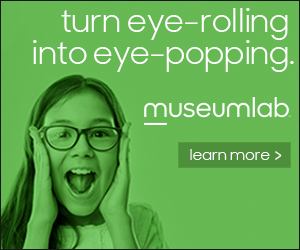 June 8: Opening date for Gymlacium, Museum Lab. The former Carnegie Library steel bookshelves will be transformed into a three-story artwork you can climb, slide down and swing on. June 12: Hop into History: A Fertile Land–Pittsburgh’s Natural Resources, Heinz History Center. A hands-on exploration of how Pittsburgh’s natural resources were formed. Get ready for messy fun to explore Pittsburgh’s rivers, coal seams, and sandstone deposits, for 2-5-year-olds and their caregivers. June 19-July 6: “The Lion King Jr,” Looking Glass Theatre at Little Lake. The summer season opens with a kid favorite as Simba learns about friendship and leadership. June 21: Summer Solstice Sleepover, Carnegie Science Center. Conclude the longest day of the year with a night full of spectacular science activities. Investigate the Sun and other stars in Buhl Planetarium & Observatory, harness the power of the Sun to make s’mores, and explore the colors of sunrises and sunsets. June 21: Snowball Day, Carnegie Science Center. 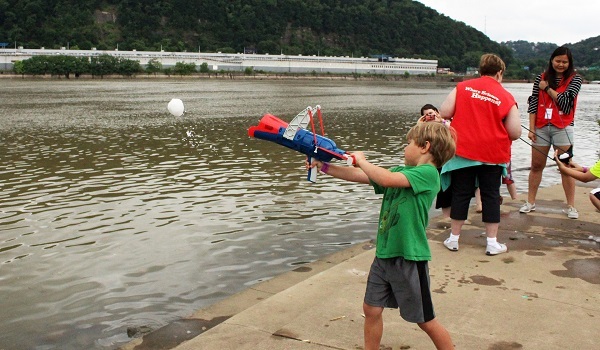 Bring your saved snowballs to the science center and launch it into the river with a snowball slingshot.